Over the past 20 years, Himalayan Salt products have gained widespread popularity in the US for their profound effects on health and wellness and their various uses in home furnishings. 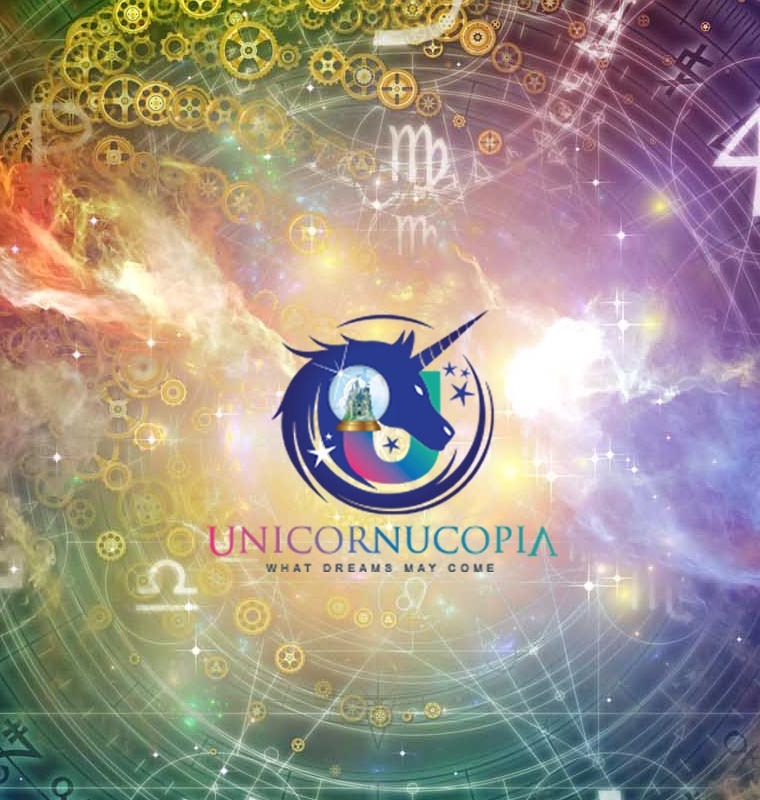 These mystical, naturally occurring products have been known to help with extensive health problems, including Asthma, stress, fatigue, irritability, and allergies just to name a few. With their amazing ability to trap unhealthy negative ions and emit healthy positive ions, Himalayan Salt lamps have become a topic of popular discussion amongst the health and scientific community. Himalayan Salt lamps come in a wide variety of shapes, sizes, and colors. With their elegant designs and unique natural beauty, these lamps are perfect for home decor or adding a splash of fengshui to any room in your living space. These homeopathic lamps work best in areas where you spend the majority of your time, such as your kitchen, living room, or bedroom. They can also be paired with electronics to help neutralize the electromagnetic radiation that diffuses throughout your home when your appliances are running such as in your home office or study. 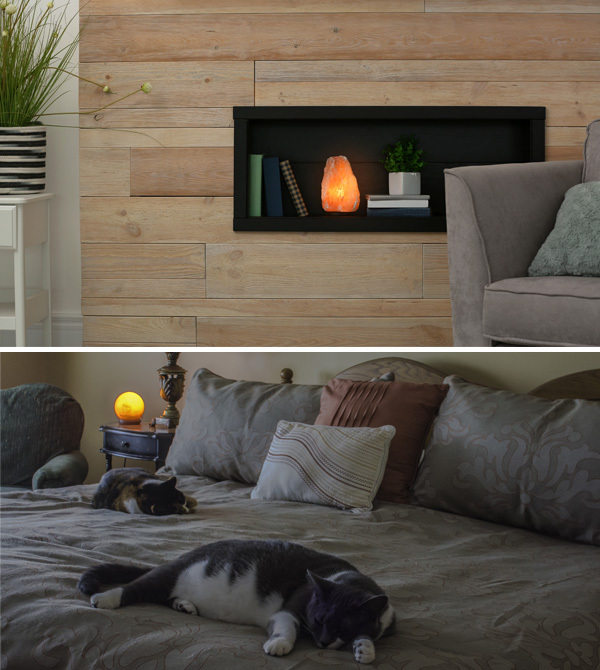 Key areas in the home for your Himalayan Salt lamp are on a tv stand, nightstand, end table, bookshelf, mantle, kitchen counter, or bathroom vanity. They provide serenity, add character, and are a perfect conversation starter when entertaining guests. 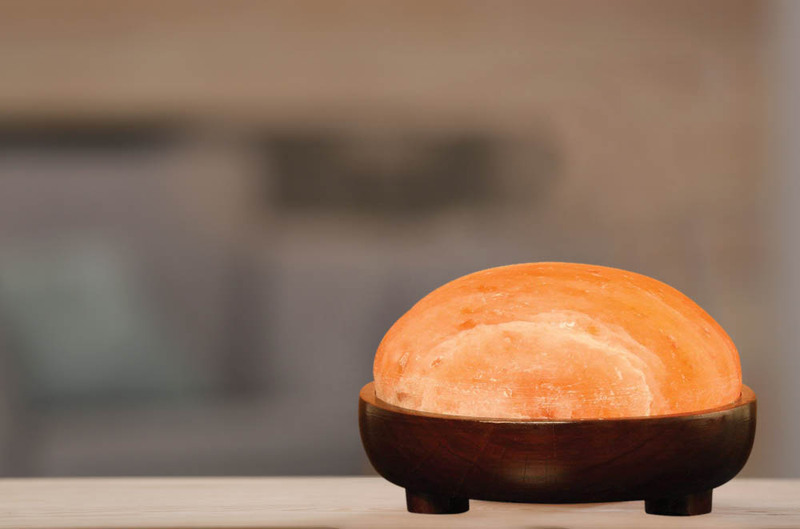 Shop from our vast selection of Himalayan Salt products, including lamps, candle holders, inhalers, bowls, spheres, and much much more!!! 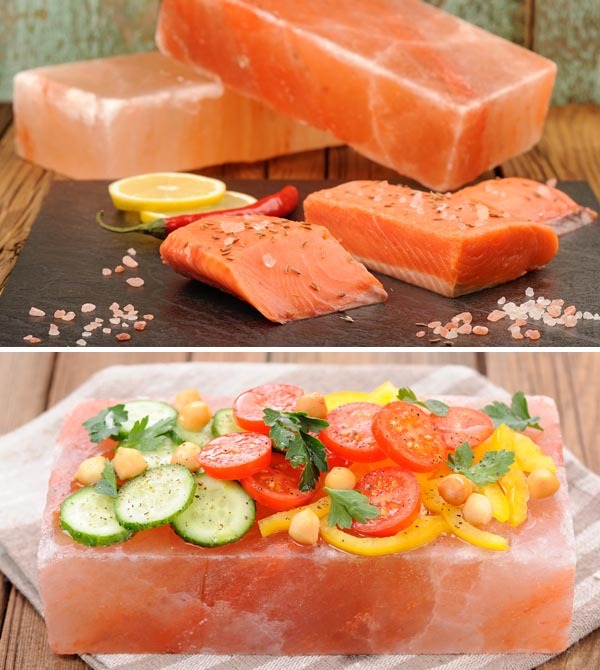 Himalayan Salt is quarried primarily from the Punjab region in Pakistan where it has been used for centuries by the native people for it’s countless health and wellness amenities. Himalayan Salt has the natural ability of absorbing positive ions and transforming them into negative ions. Negative ions are positive on the human body and positive ions have an adverse effect. Negative ions theoretically cause the body to release more Serotonin (the happy drug) in the brain. When there is moisture in there air and a salt lamp is turned on it absorbs the moisture and the unhealthy positive ions. The ions are then released back into the atmosphere as healthy negative ions. Simply put, Himalayan Salt lamps are natural air purifiers. Salt lamps cleanse the air similar to an ionizer but without the use of filters or cleaning which can become both costly and time consuming. Himalayan Salt lamps help to purify the air through a natural phenomenon called Hygroscopy in which contaminated water molecules are absorbed inside the lamp where they stay trapped. These lamps have been to known to rid the immediate environment of cigarette smoke, dust, pollen, and other hazardous contaminants in the air. This unique process deodorizes the air in your home leaving it smelling fresh and clean. It is believed these lamps can filter dust, mildew, pet dander, pollen, and mold from indoor air. People who struggle with Asthma have claimed to have a reduction in their symptoms when using Himalayan Salt products. These lamps have been used to improve breathing quality and clear the airways in a similar way to Saline salt sprays. It has been so well accepted in today’s society as a breathing aid that several manufacturers now sell their own Himalayan Salt inhalers designed specifically for sufferers of Asthma, COPD, Bronchitis, sinus infections, post nasal drip, and other respiratory illnesses. 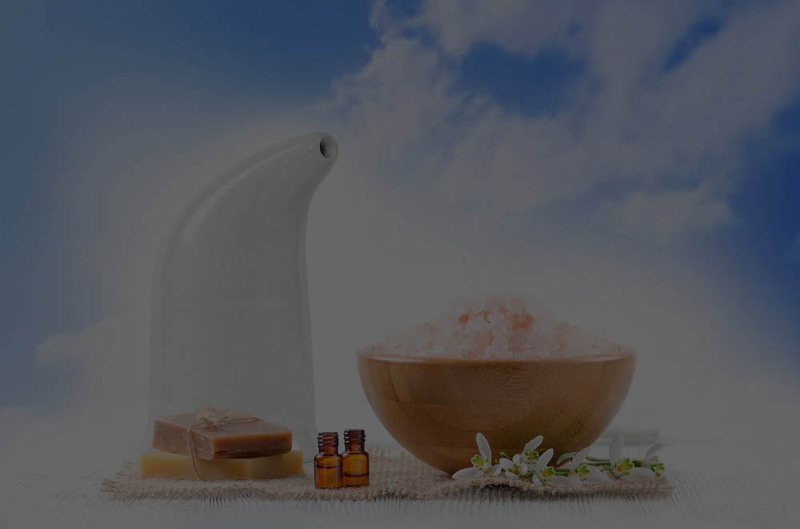 We sell are very own Himalayan Salt inhaler for all your respiratory needs HERE. It is theorized that the negative ions release from Himalayan Salt may also help to protect against airborne germs and contaminants. The salt helps the body to filter air more effectively in an attempt to block any foreign particles from entering the airways. This can help prevent several symptoms of the common cold, including coughing, congestion, sneezing, wheezing, runny nose, and sore throat. Negative ions are emitted by Himalayan salt lamps. Studies suggest these ions help to increase blood flow and as a direct result, lowers blood pressure, aids in the prevention of lung damage, and alleviates symptoms of several vascular illnesses. Positive ions decrease energy levels and negative ions have been said to increase energy levels. Himalayan salt lamps trap negative ions and release them as positive ions thus boosting energy levels in the human body when the lamp is turned on. Himalayan Salt lamps release negative ions into the air and recent studies have suggested that these ions can increase Serotonin levels in the brain which help to improve mood and energy levels. Studies have shown that over-exposure to positive ions can reduce the body’s ability to transport blood and oxygen which can cause irregular sleeping patterns. Himalayan Salt lamps release negative ions which improve these levels. These increased levels of blood and oxygen to the brain have led to an increased popularity in these lamps as a natural sleep aid. The soothing light given off by these lamps can also be used to help people suffering from Insomnia and other sleep related disorders. Himalayan Salt lamps can be used as a form of Chromotherapy (color therapy) These lamps produce a soft ambient lighting of orange, yellow, pink, and red hues which is believed to help balance physical, emotional, and spiritual energies. The soft glowing light emitted by the lamps has been known to help with stress reduction, Attention Deficit Disorder (ADD), and general relaxation. The negative ions that are emitted from Himalayan Salt lamps provides a boost of Serotonin in the human body which gives the body a sense of happiness and relaxation. These negative ions reduce stress, enhance overall performance, and stimulate concentration by increasing the blood and oxygen levels in the brain. The windpipe is lined with hairs known as Cilia which help to filter contaminants that enter the lungs. Over-exposure to positive ions has been known to decrease Cilia activity. 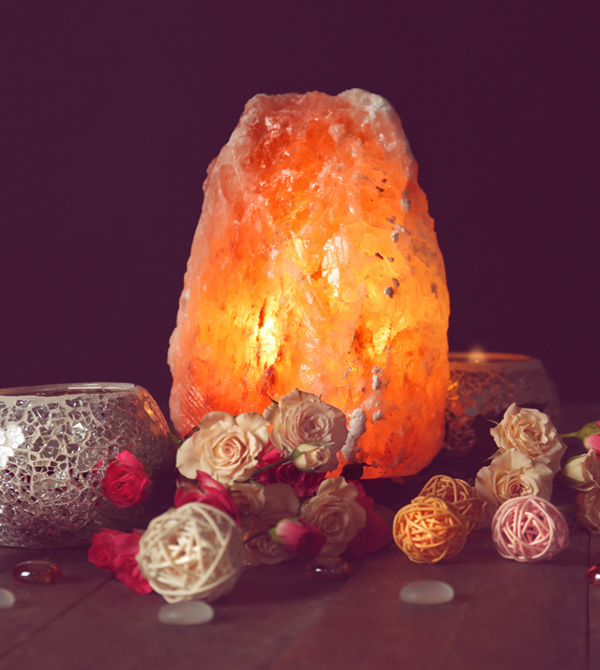 Recent studies have shown that the negative ions emitted by Himalayan Salt lamps help to improve the functionality of the Cilia by filtering foreign particles that could potentially enter and harm the airways. With countless technological advancements and the high demands of today’s society, we have evolved into a species that is constantly surrounded by electronics. Technology makes life much easier but it has also been proven to have several profound negative effects on the human body. Everyday appliances such as computers, tablets, phones, game consoles, and televisions release positive ions into the air constantly creating an overflow of electromagnetic energy (EM) It is suggested that an over-exposure to these ions may be directly linked with several critical long-term health effects on the body such as fatigue, stress, decreased energy levels, irritability, confusion, and a depleted immune system. Himalayan Salt lamps release negative ions and cancel out positive ions which helps to neutralize the electromagnetic radiation that is emitted by the positive ions. This reduction in electromagnetic radiation helps to minimize artificial frequencies and is even hypothesized to prevent static buildup. Himalayan Salt in it’s finest form is commonly used as a popular seasoning for food. It can also be sold in large slabs where it is used as a cooking surface for which food can be cooked, seasoned, and prepared. Himalayan Salt is so dense that it is a wonderful conductor of heat. These slabs distribute heat evenly for the perfect cooking surface. Himalayan Salt can be found in several spas, massage parlors, and Yoga studios where it it used for special massage treatments, salt treatments for yoga. Himalayan Salt has been known to counteract respiratory problems and improve overall health and wellness through an alternative treatment called Halotherapy (Salt Therapy) Halotherapy is the alternative method of treating respiratory conditions by breathing in salt-rich air. Some claim that it can be used to treat common respiratory illnesses including, Asthma, Bronchitis, COPD, and allergies. People suffering from smoking-related symptoms such as coughing, wheezing, and shortness of breath have claimed to show vast improvements over these ailments after using the treatment. A 2007 study showed that people suffering from COPD had fewer symptoms and improved overall quality of life after using Halotherapy. Another study in 2014 suggested that Halotherapy triggers anti-inflammatory and anti-allergic responses in people suffering from bronchial Asthma or chronic Bronchitis. This process has been widely practiced in Europe since the 1800’s. People from all over the world visit European salt mines to inhale the salt-rich air for an improvement in overall respiratory functionality. Halotherapy can be administered in 2 different methods, dry or wet. The dry method consists of sitting inside a man-made “salt cave” for 30-45 minute sessions. 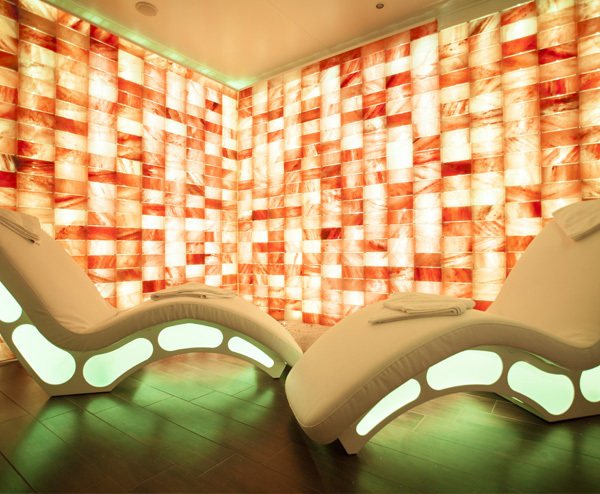 These rooms are 100% free from humidity and temperature is set to 68F or lower for best results. A device called a Halogenator is administered to grind the salt into microscopic particles and release these particles back into the air. Once inhaled, these particles are said to absorb irritants, allergens, toxins, breakdown mucus, and reduce inflammation, resulting in much cleaner, healthier airways. These particles can also help protect the skin by absorbing bacteria and other impurities responsible for several skin conditions. Halotherapy is also widely practiced using a mixture of salt and water. Some wet methods of Halotherapy include: gargling or drinking salt water, bathing in salt water, inhaling salt water for nasal irrigation, and sitting inside a flotation tank filled with salt water. Speleotherapy is an alternative respiratory method of breathing the mineral-infused air inside a macro-climate of a salt mine. This method has been practiced since the Middle Ages but modern use of this therapy originated in Germany in 1843 by the Polish physician, F. Bochkowsky. 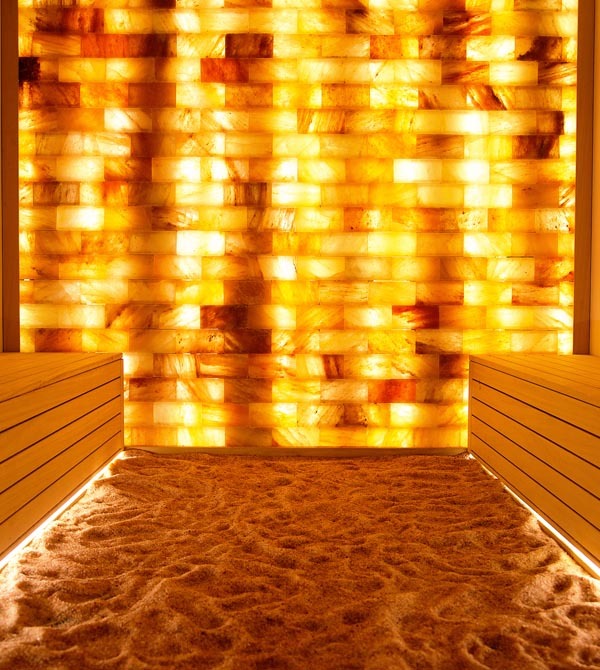 The macro-climate inside a salt mine has many special characteristics used in Speleotherapy. Some of these characteristics include, the lacking of airborne pollutants such as pollen, stable temperature and humidity of the air, and higher air pressure which studies have shown to benefit overall respiratory health. Speleotherapy has shown to make vast improvements over several skin conditions including, Psoriasis, allergic Dermatitis, and Neurodermatitis. Caves are known for being high in carbon dioxide which stimulates the Autonomic nervous system allowing for more intense and relaxed breathing to improve overall respiratory function. Speleotherapy has also been used to treat chronic non-specific lung diseases, sexual disorders, sleep disorders, and improve overall nervous system function. Himalayan Salt can be used to make a powerful detoxifying and rejuvenating elixir known as Salt Sole. Sole is water that is fully saturated with unrefined salt. When Himalayan Salt is dissolved in water it results in a concentrated, electrically charged matrix of the 84 trace minerals found inside the salt. 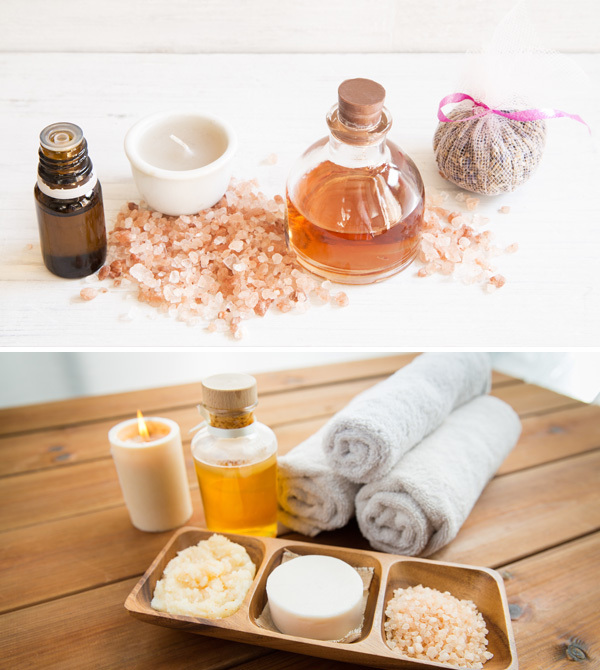 With only 3 simple ingredients, Himalayan Salt (real salt), water, and a jar, this natural home-made remedy is a wonderful health treatment that is both affordable and simple to make. Just 1 teaspoon of this magical concoction every morning can transform the body and mind into a temple of health and wellness. The body naturally repairs and detoxifies itself during sleep, however, this process also simultaneously depletes the body of water. This is the reason why we wake up feeling thirsty. One small teaspoon of Salt Sole in the morning helps to rehydrate the body.. Sole is a natural anti-bacterial and aids in removing harmful bacteria from the body. Sole further helps to balance systemic PH levels in the body and can also be used as a safe intestinal cleanser. There are 84 trace minerals found within Himalayan Salt that have been known to help store and boost energy. Some of these minerals include, Magnesium, Potassium, and Calcium. Sole improves digestion, balances hormones, and repairs the body on a cellular level which has been theorized to help with weight loss. Sole floods the body with minerals which can improve conductivity and stimulate blood circulation. Sole works wonders on the nasal passages and the airways. As you breathe, natural moisture in the air absorbs the salt particles into the lungs which can provide relief to nasal congestion, sneezing, wheezing, hives, and other allergic reactions. 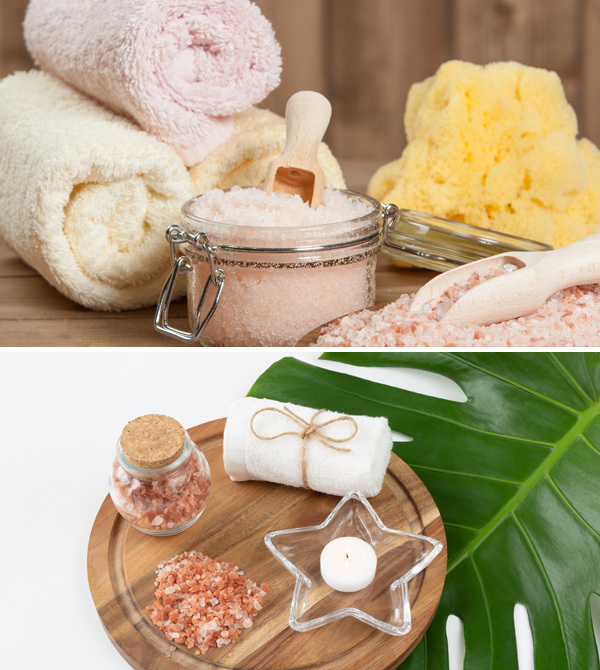 Transform your bathroom into an all-natural “do it yourself” at-home spa by simply adding Himalayan Salt to any bathtub. The mixture of salt and water has been known to help exfoliate the skin, cleanse the senses, promote healthy sleep patterns, stimulate circulation, ease aches and pains, and filter out harmful toxins in the body. Himalayan salt contains several healthy minerals including, iron, magnesium, potassium, calcium, copper, iodine, selenium, manganese, sodium, zinc, and phosphorus. These minerals become absorbed through the skin through a process called dermal absorption. There are 2 common types of “salt detox” baths. Both options are equally beneficial and fit any budget. Himalayan Salt “brine” baths are possibly the most powerful form of salt detoxification. Adding just 1-2 pounds of Himalayan Salt dissolved in a warm bath has profound rejuvenating and relaxing effects on the body. This mixture can be physically overwhelming for some so be mindful if you’ve never tried it before. The salt should be mixed in warm water (NOT HOT) and the session should last no longer than 15-20 minutes for the best results. For a less expensive and much gentler detox, add just 1-2 cups of Himalayan Salt to your bath. 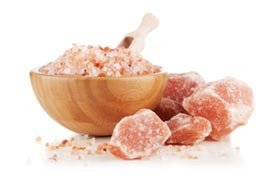 Himalayan Salt detoxers are the perfect tool for hand and foot relaxation therapy. Simply place your hands or feet on the warm dome and allow the generated ions to flow throughout your body. These beautifully crafted salt detoxers help your body to relax and detox naturally and help to purify the air using the same process as a Himalayan Salt lamp. Enhance the ionic balance of your living spaces, filter out harmful electromagnetic radiation, and add a warm inviting splash of home decor to any room in your home. 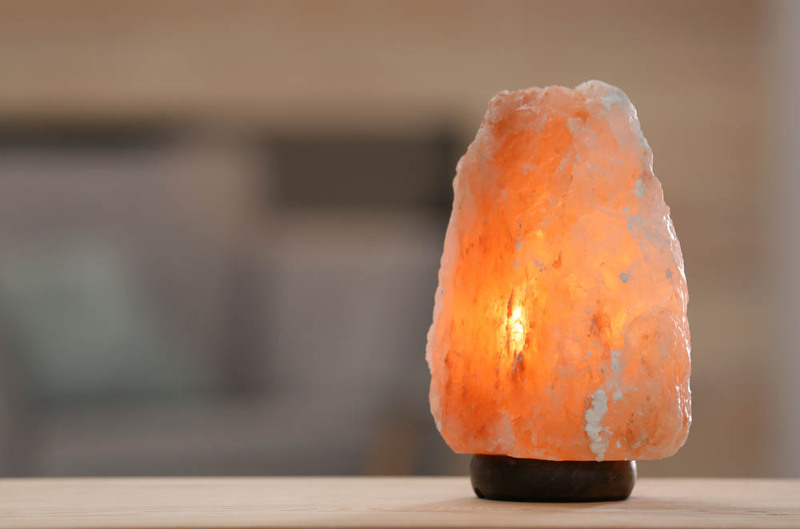 Shop from our vast selection of Himalayan Salt products including lamps, candle holders, inhalers and much much more!! !